The module is based on the iCalendar standard. In this way, you can import project time limits to other programs that support .ics file, as e.g. in Google Calendar, MS Outlook, Mozilla Sunbird, Apple iCal, IBM Lotus Notes, etc. 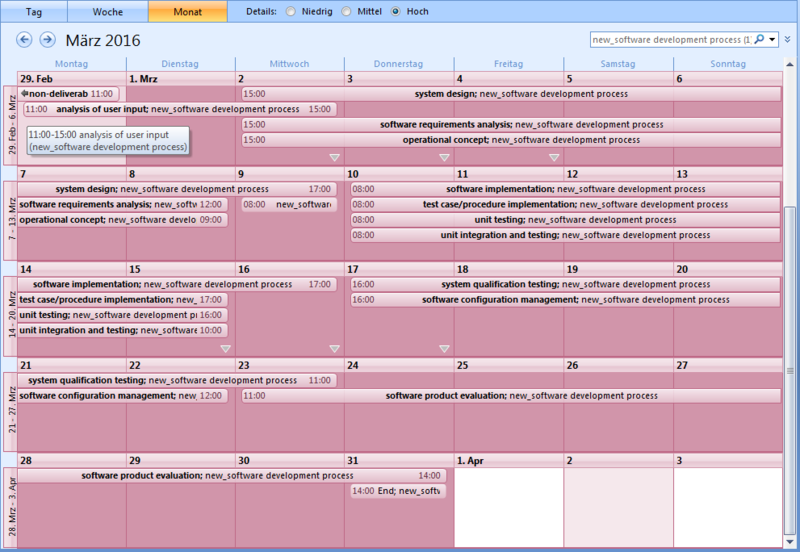 iCalendar module delivers an actual state of scheduled activities each time you access.